Katie Williams, John Burns at Nia Griffith MP at the Living Wage Market. Congratulations to Burns Pet Food on leading the way on the Living Wage and becoming the Wales Living Wage Champion. The pet food firm, which is based in Kidwelly, is a major employer in the area, and pays all of its 110 employees at or above the Living Wage. As well as making and distributing nutritious pet food, Burns also has a high quality farm foods shop in Kidwelly, stocking fresh locally grown produce. 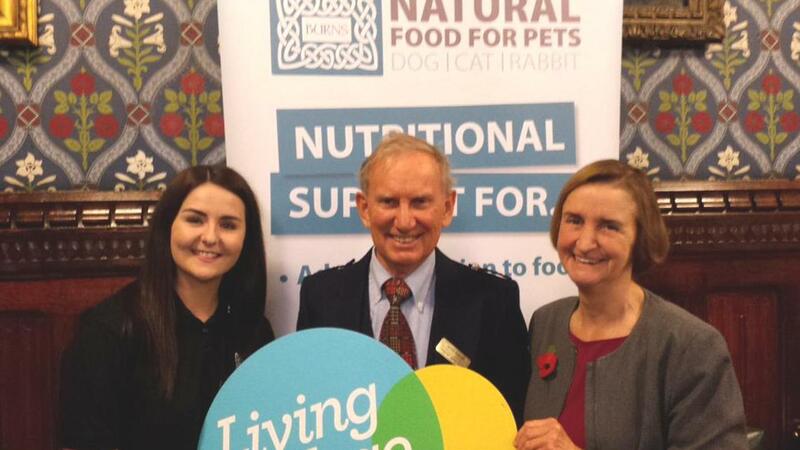 Company partner John Burns and staff Katie and Sally came to Parliament this week to take part in the Living Wage Market, organised by the Living Wage Foundation.